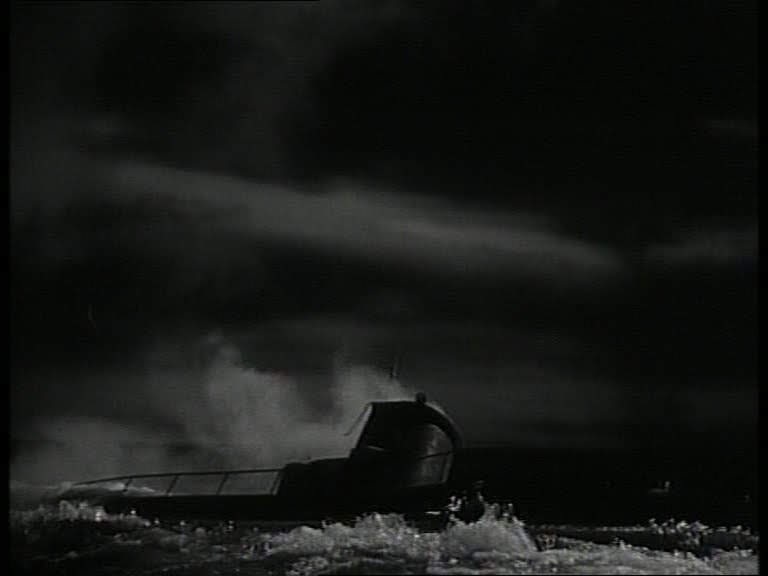 Solid work by British special effects men Syd Pearson and Bill Warrington. 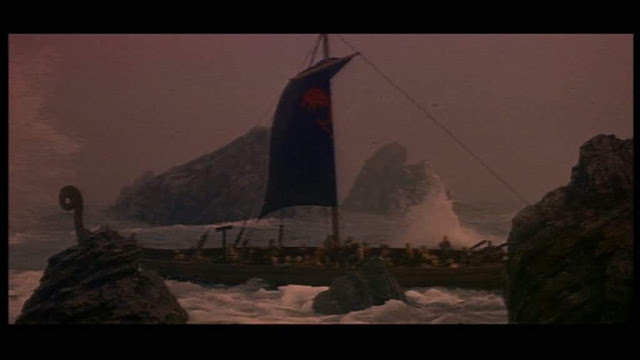 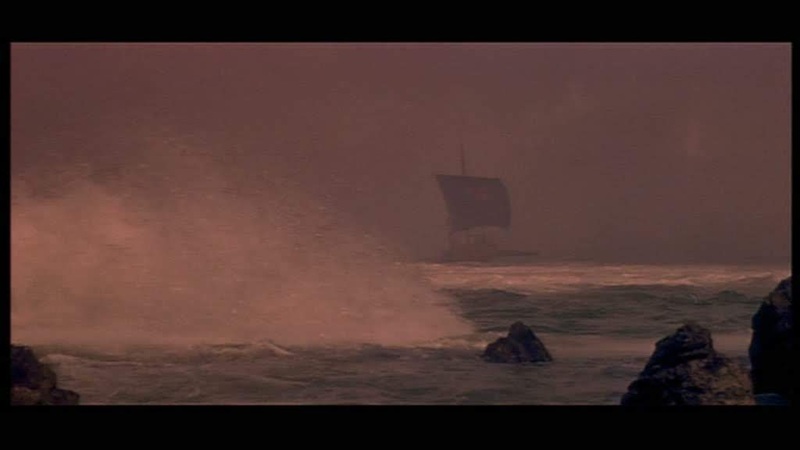 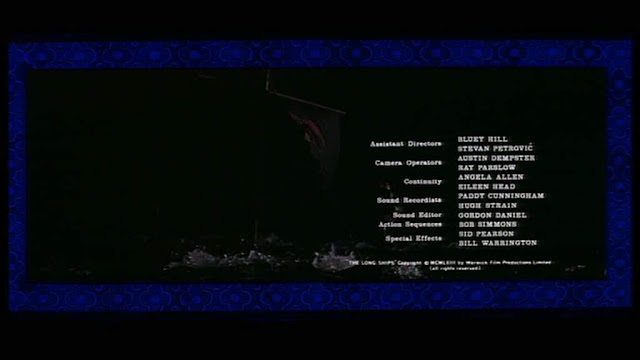 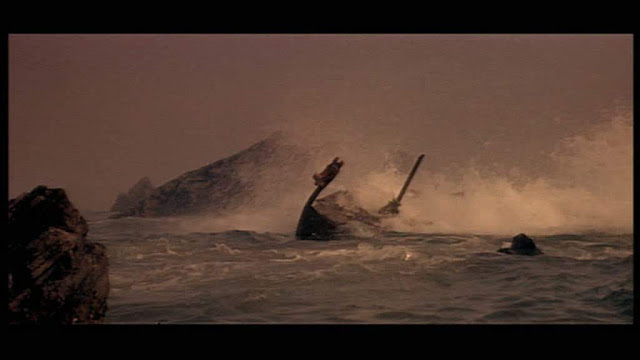 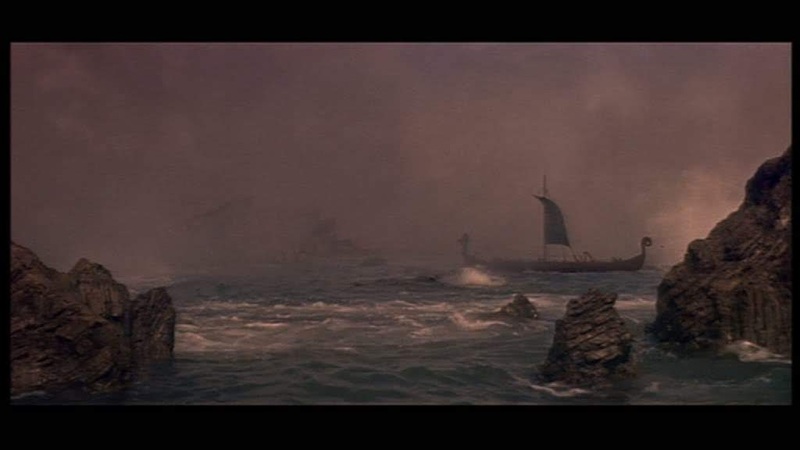 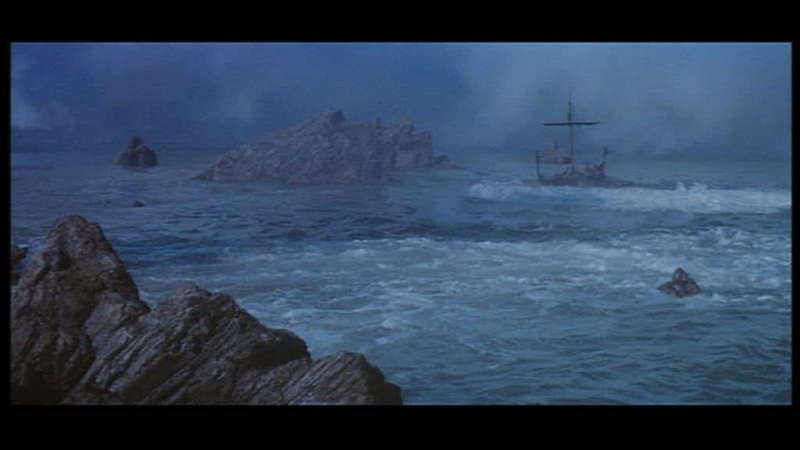 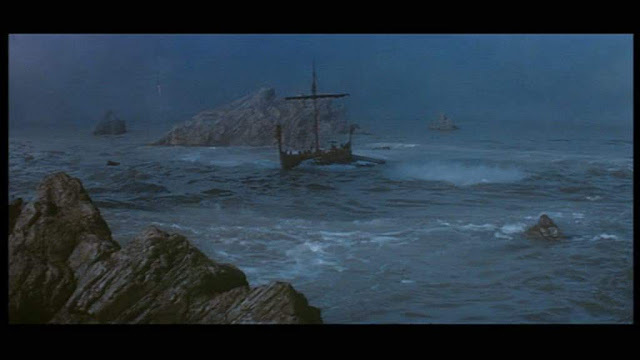 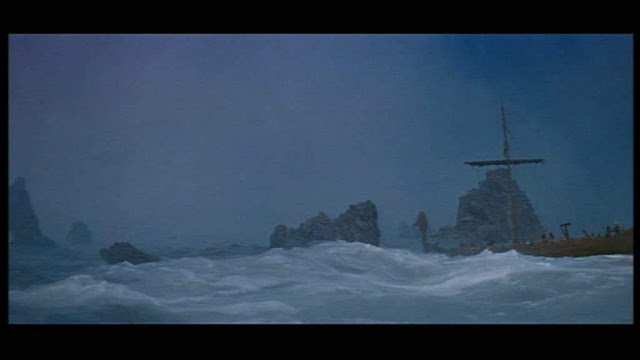 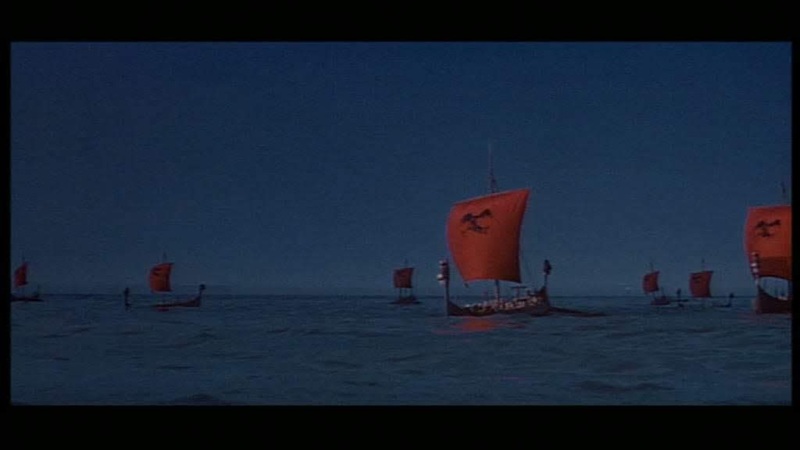 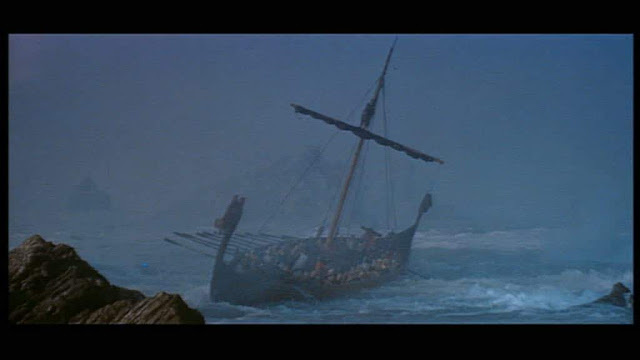 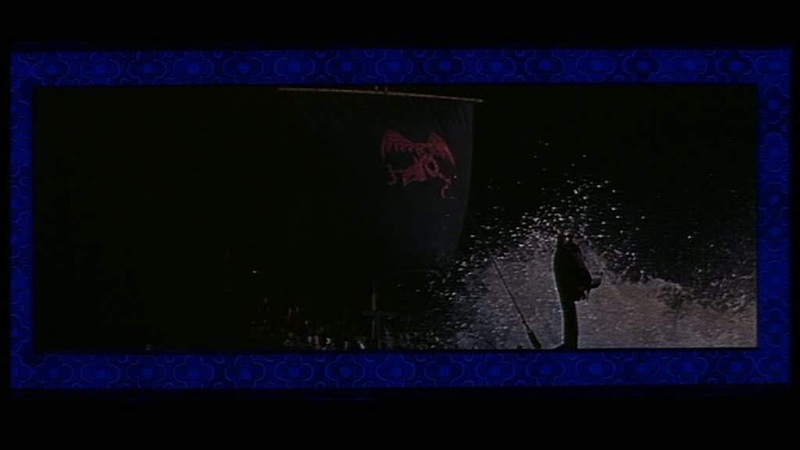 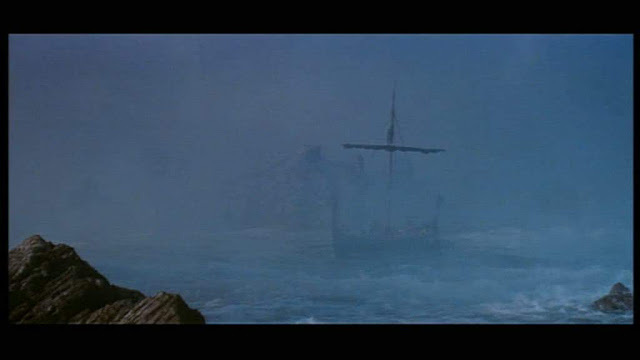 My guess is that Bill Warrington handled the miniature viking longship in the two maelstrom sequences. 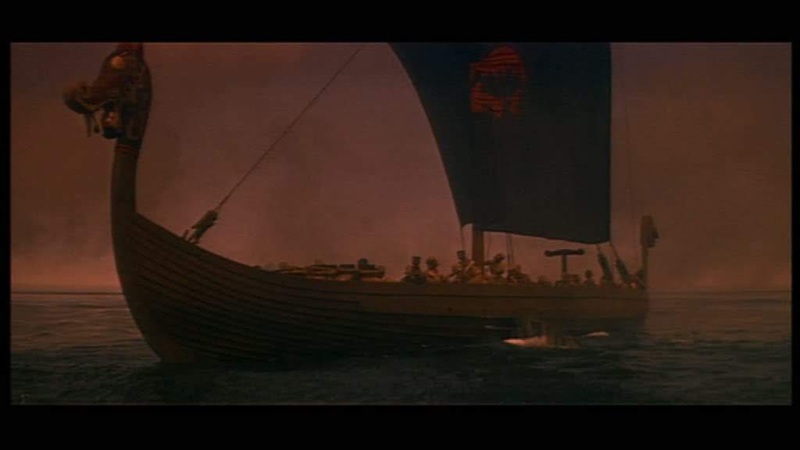 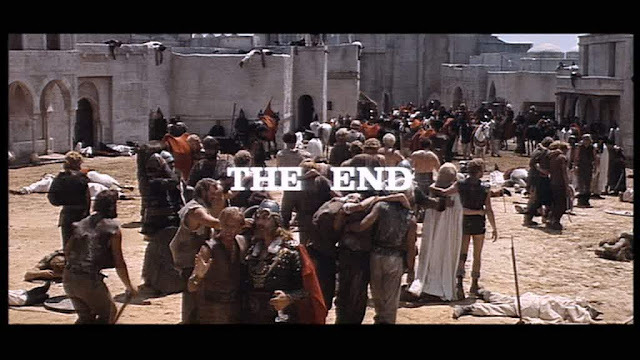 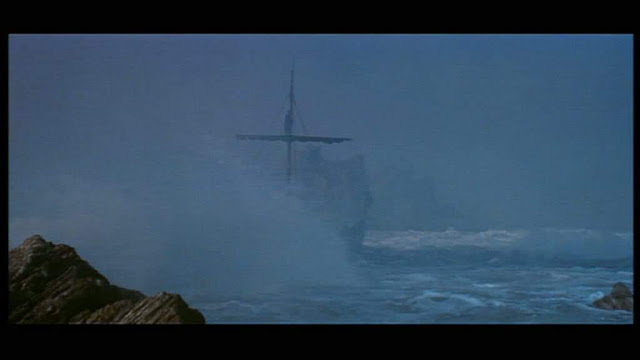 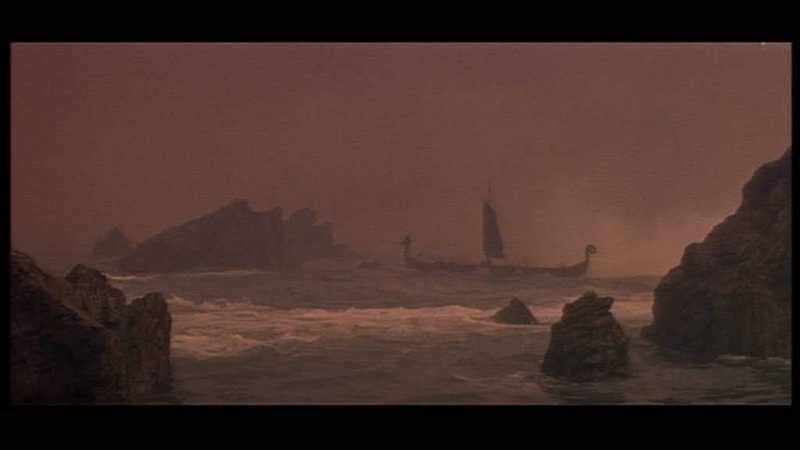 He had already been involved with Sink the Bismarck(1960) and supervised the fantastic miniature storm sequence in the Guns of Navarone (1961) before this rollicking tale of vikings, moors and a huge solid gold bell came along. 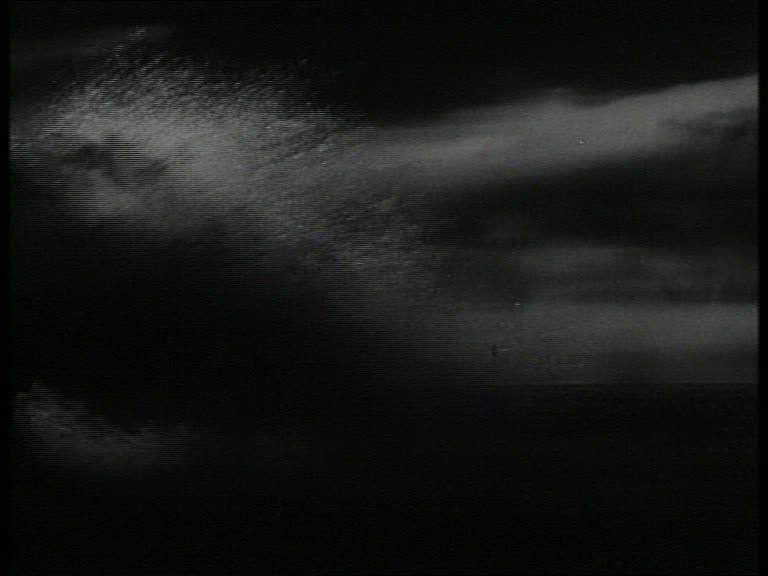 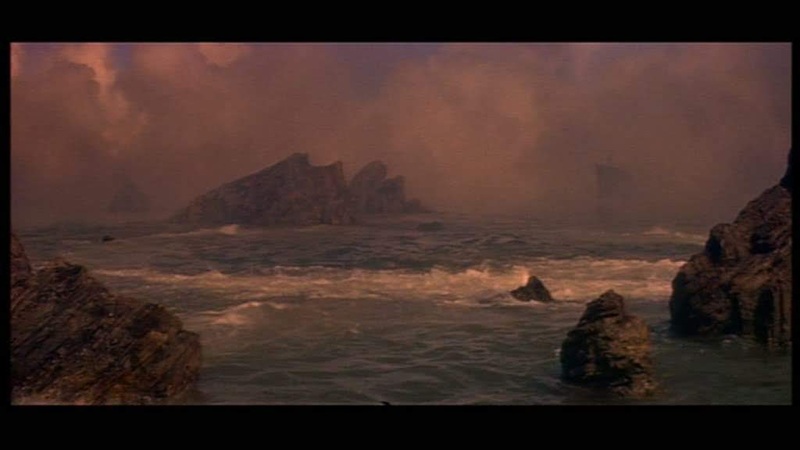 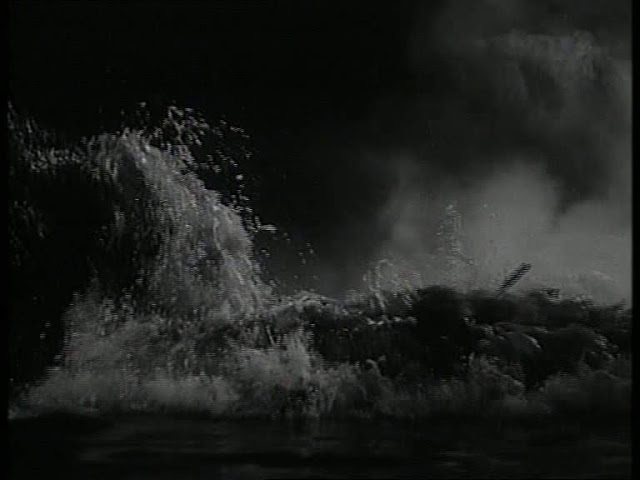 The maelstrom churns chaotically with many crashing waves from the dump tank and bursts of what looks like dry ice fog, battering the model and the miniature rowers. 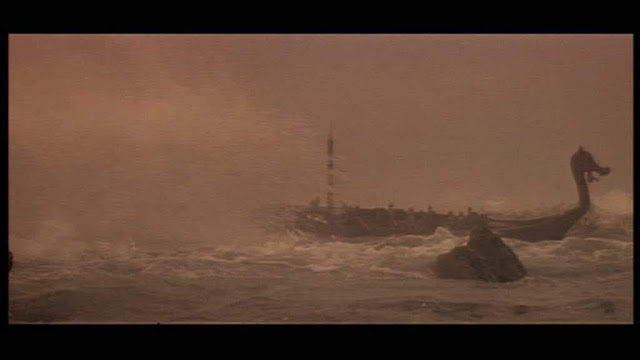 The first sequence is given a warm almost sepia colouration where as the second sequence is standard daylight. I suppose this is to differentiate the two sequences which as far as the action depicted is basically the same. 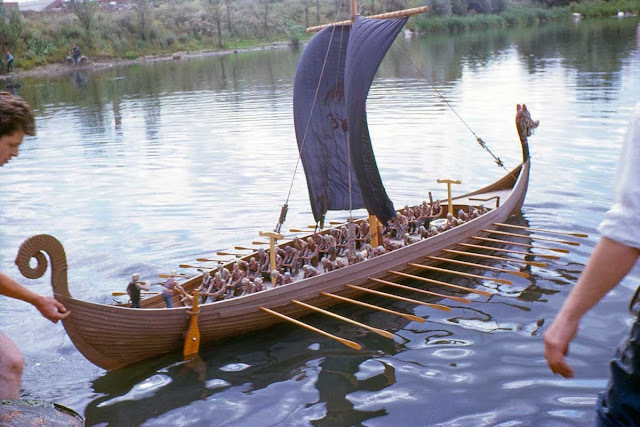 The 12 foot (3.658m) longship model was built by legendary British model making company Master models responsible for some other famous Film and TV work. As their website can attest they're still going today. 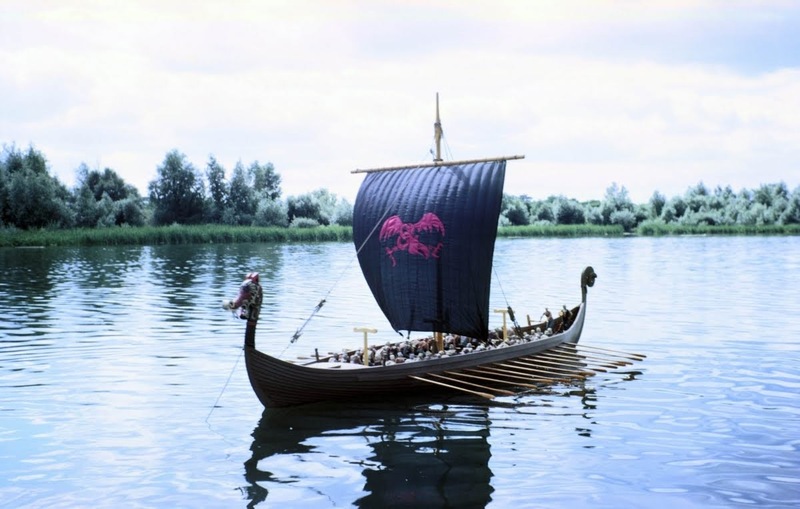 Master Models 12 foot Viking Longship. 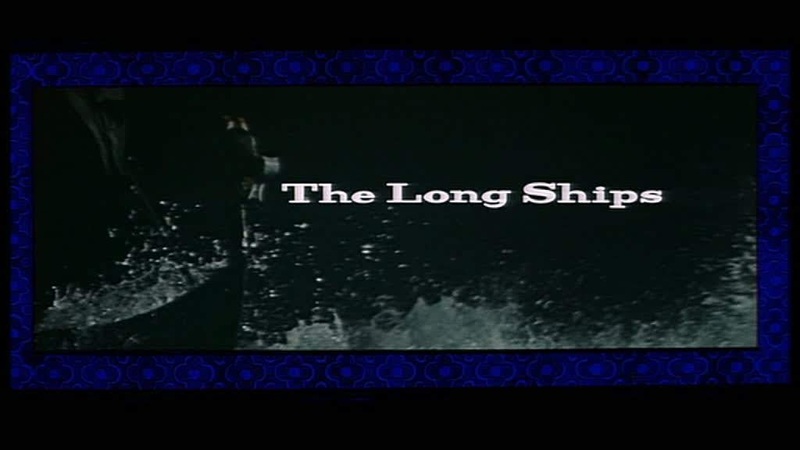 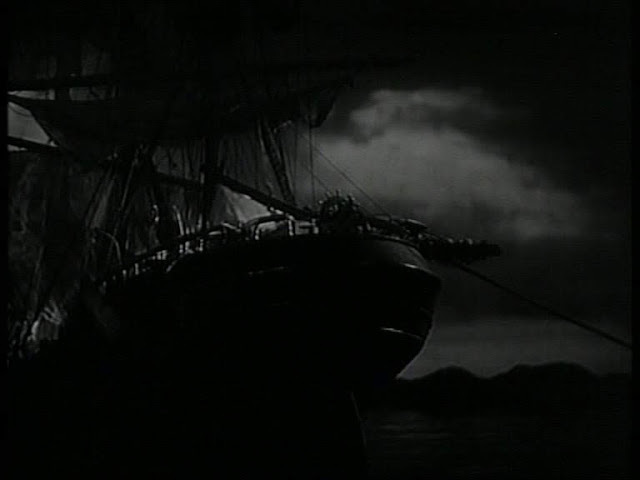 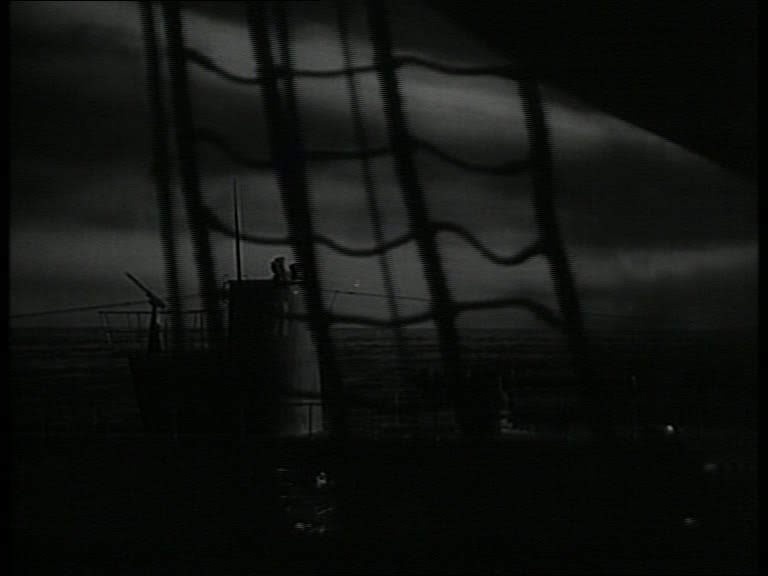 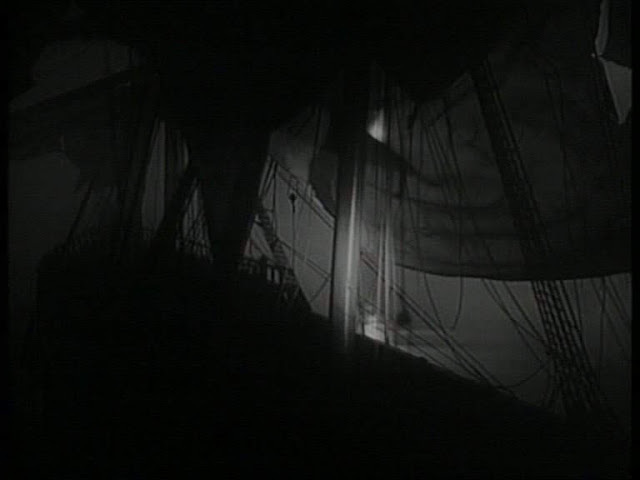 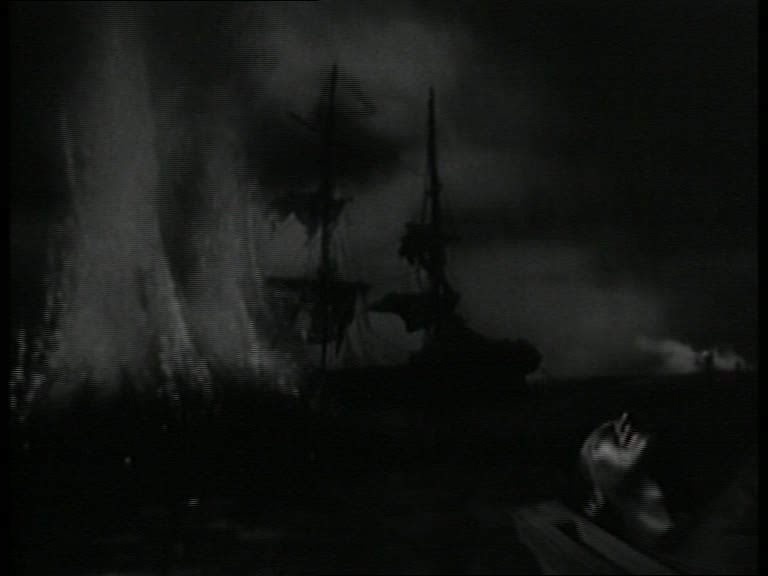 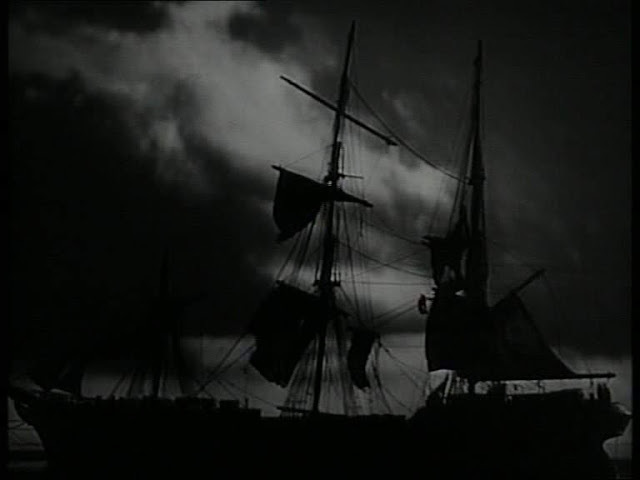 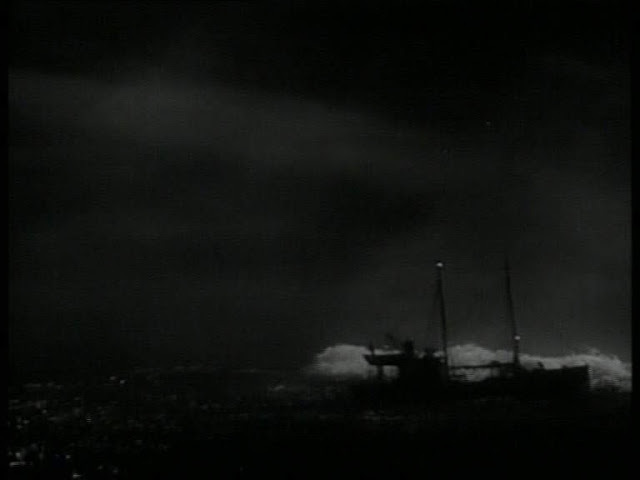 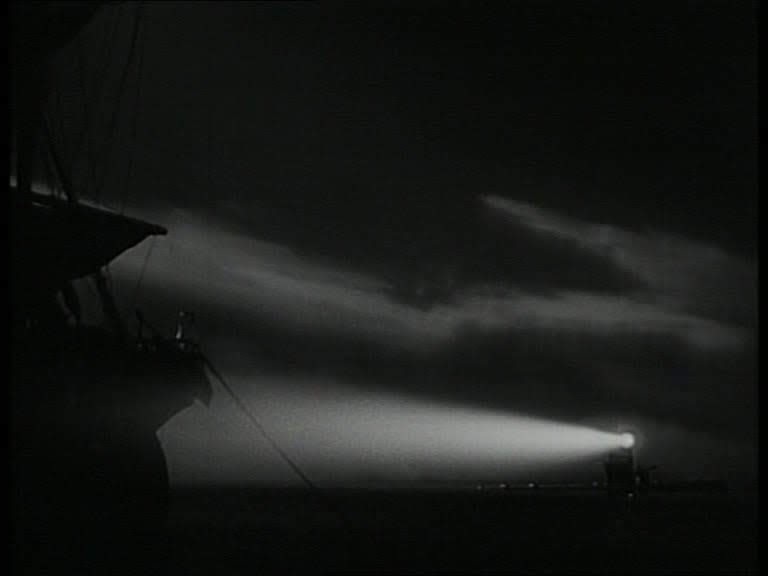 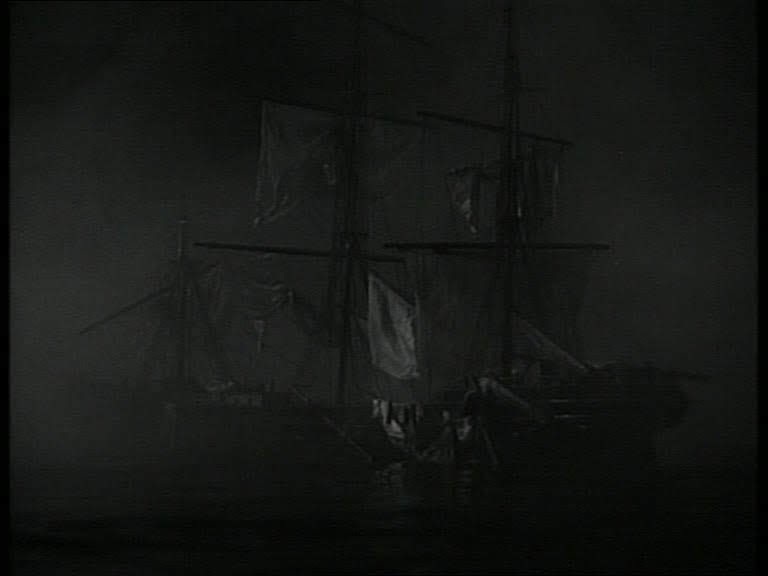 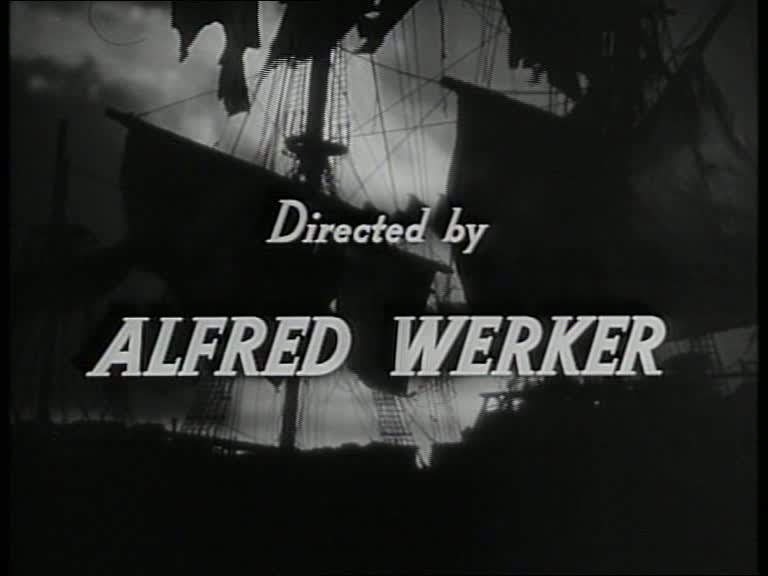 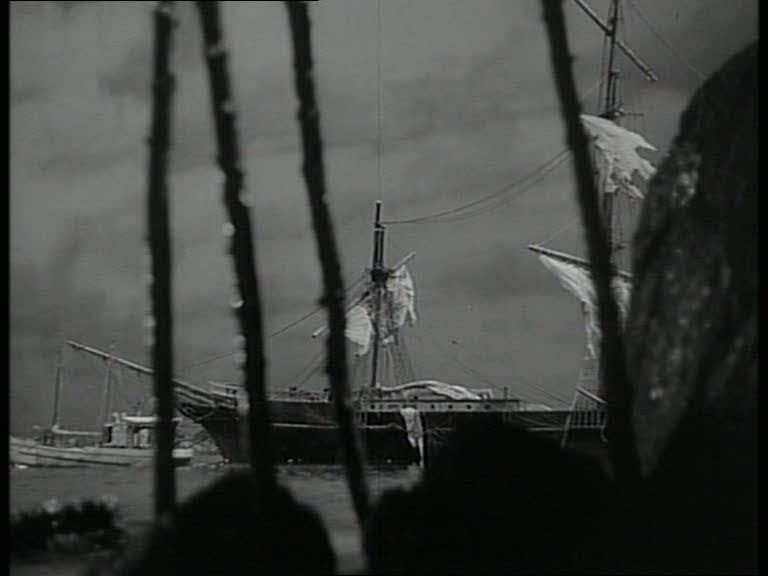 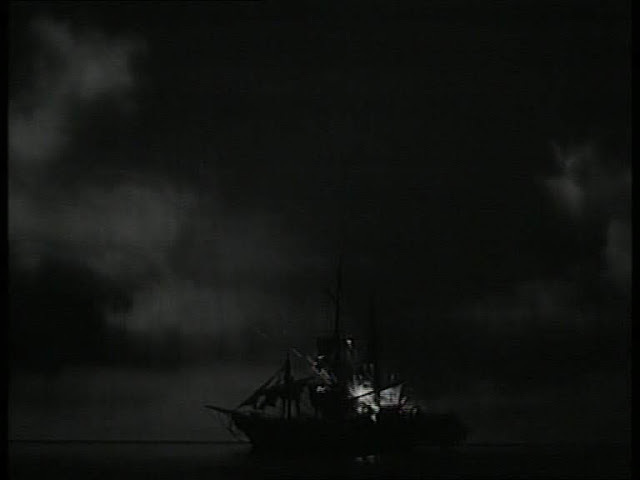 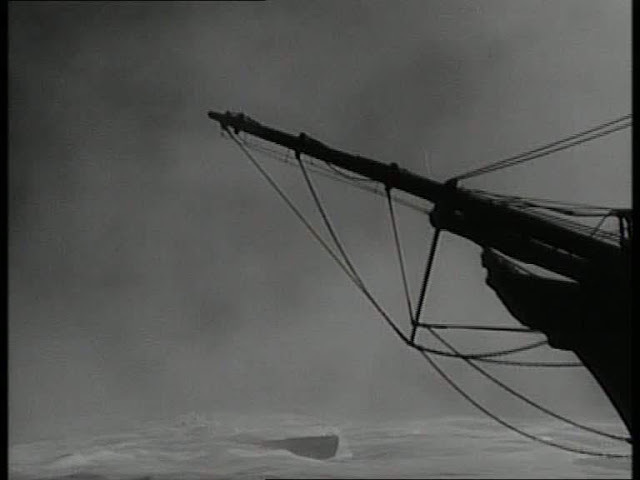 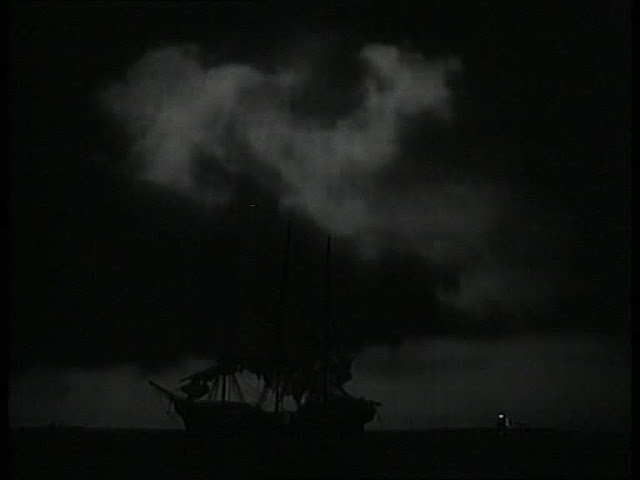 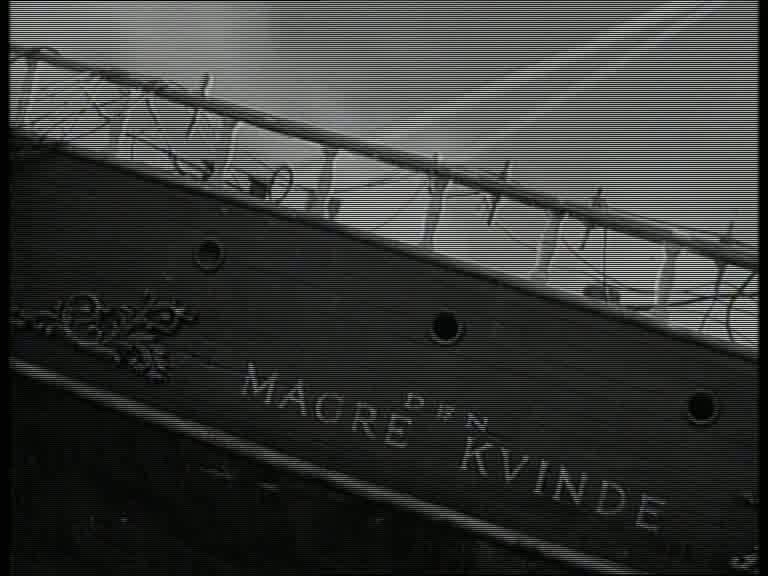 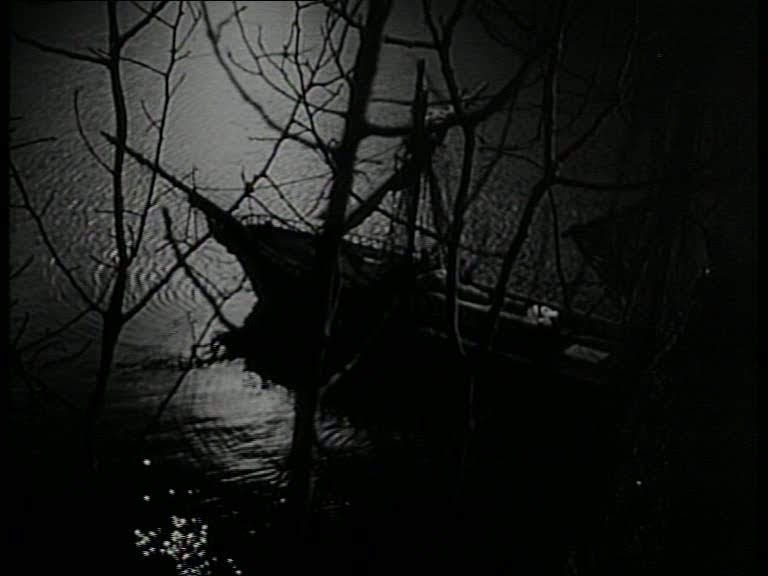 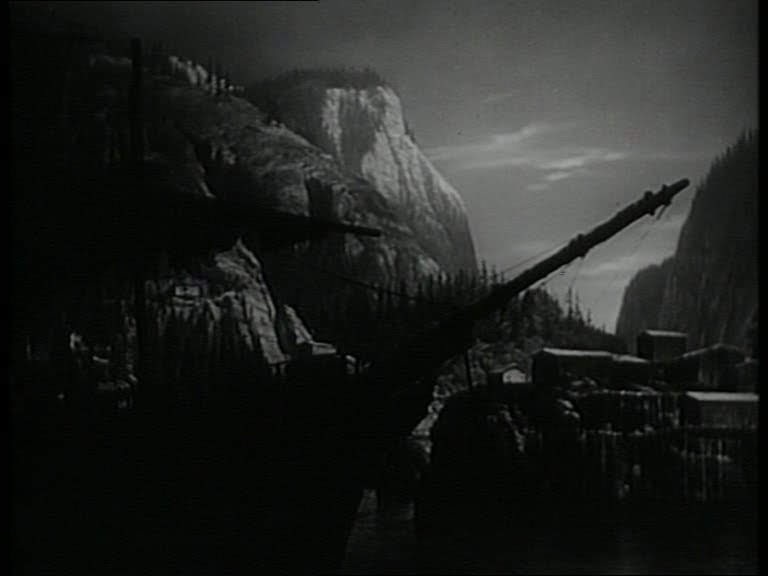 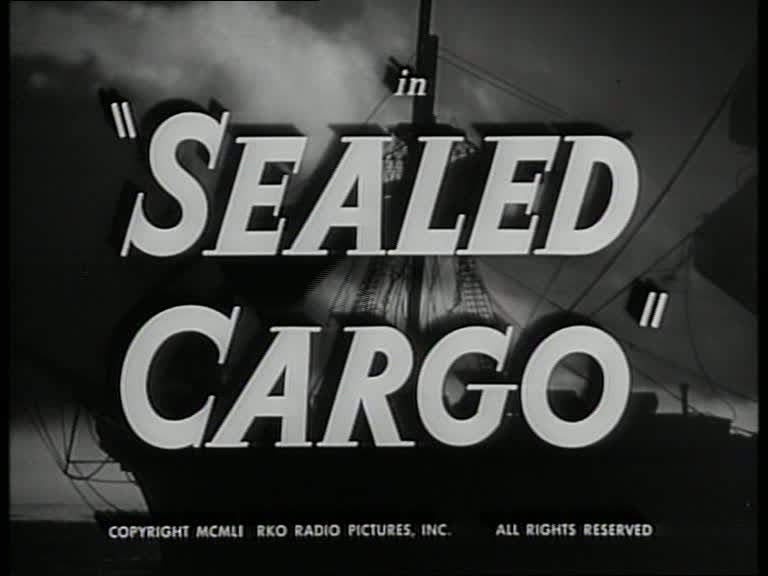 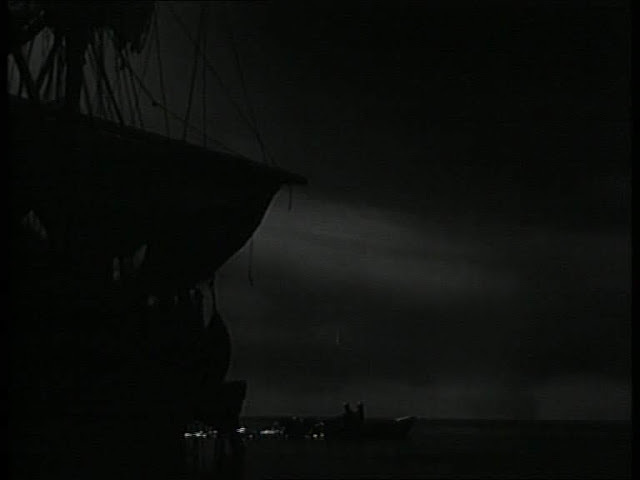 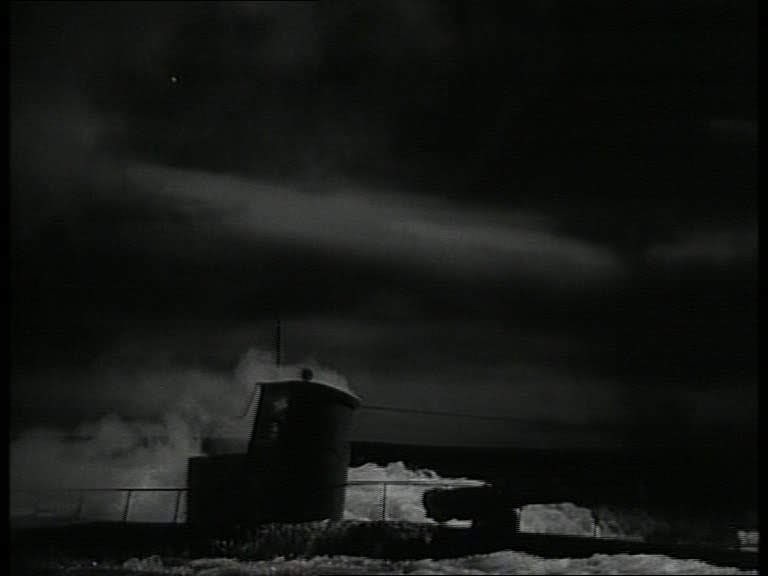 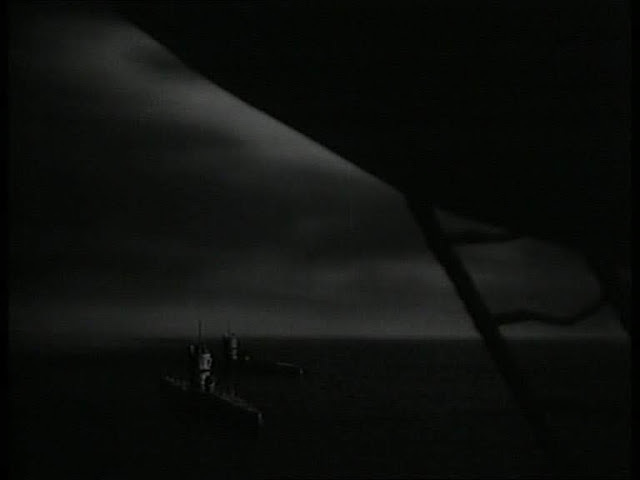 The second model ship movie starring Dana Andrews in succession (the first being Deep Waters; see previous post). 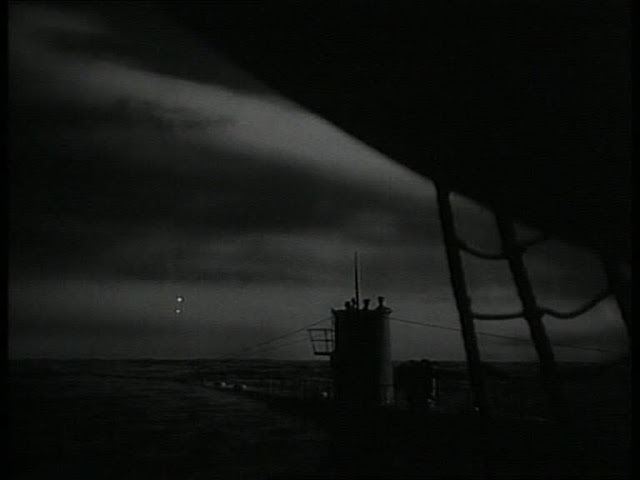 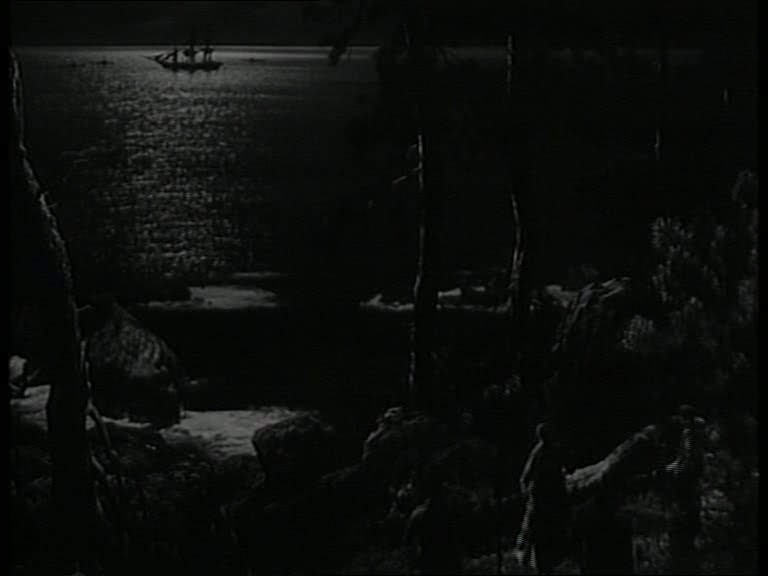 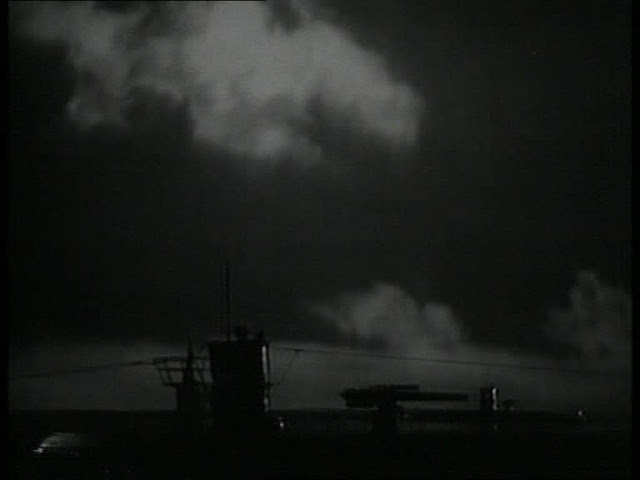 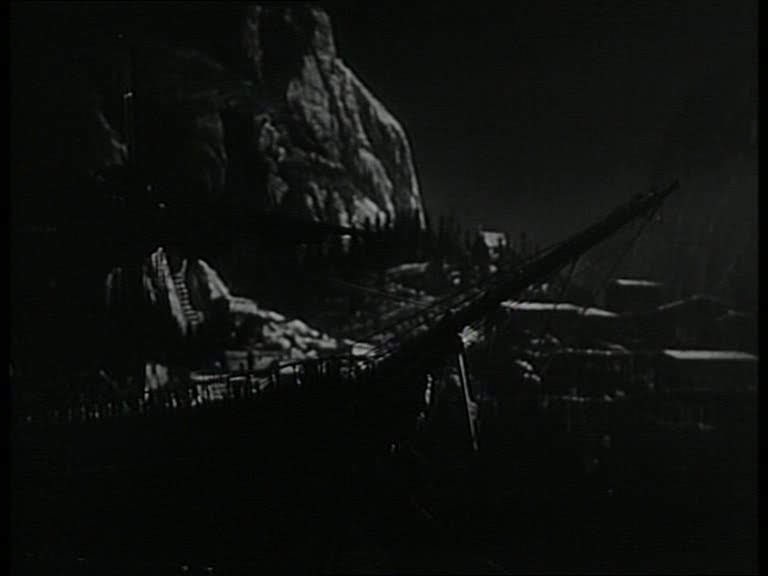 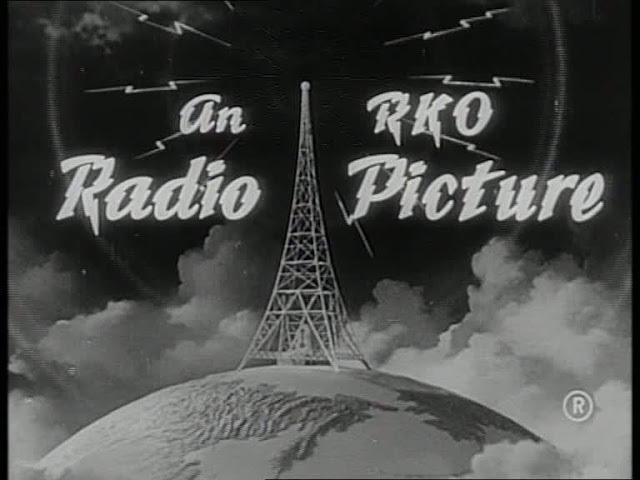 This is a tightly scripted and directed little RKO B movie with some very atmospheric miniature shots. 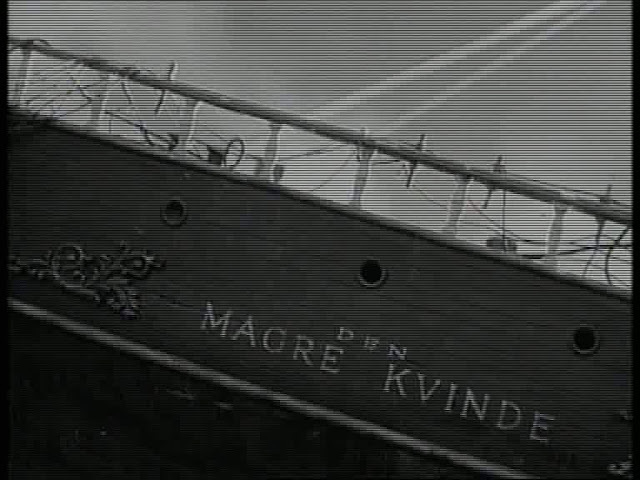 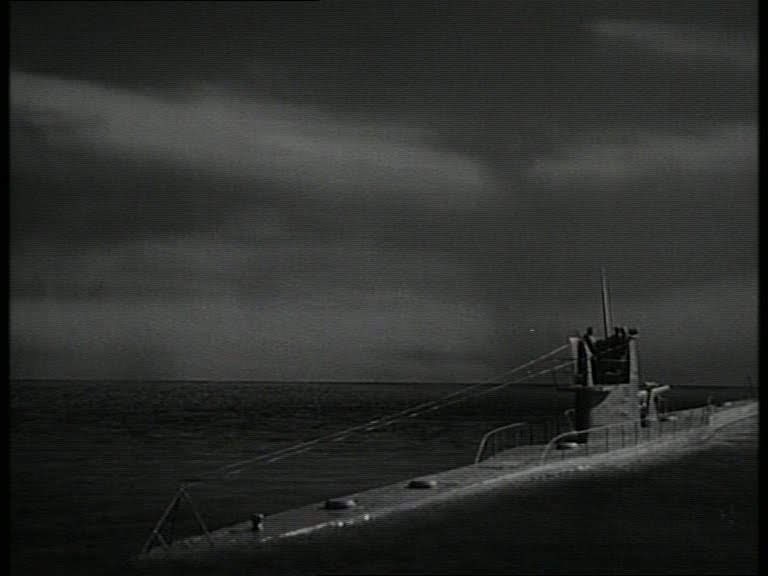 The story concerns a Nazi Submarine supply vessel disguised as a partly wrecked sailing ship. 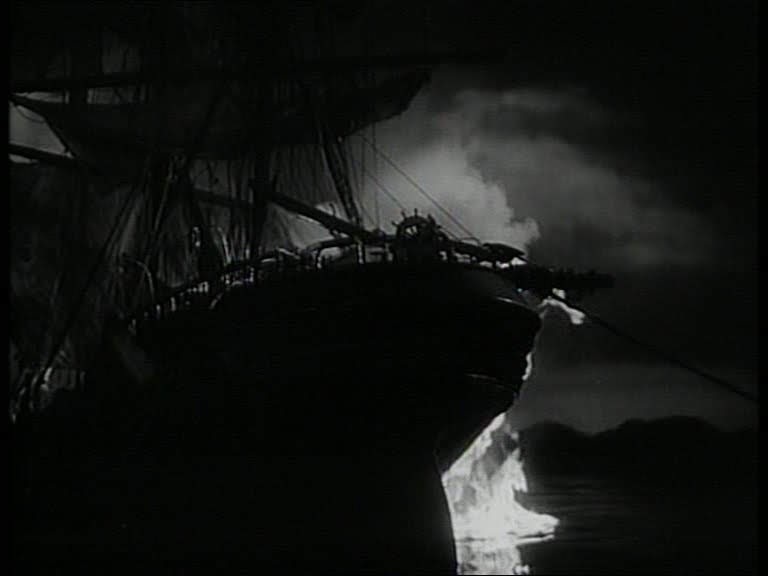 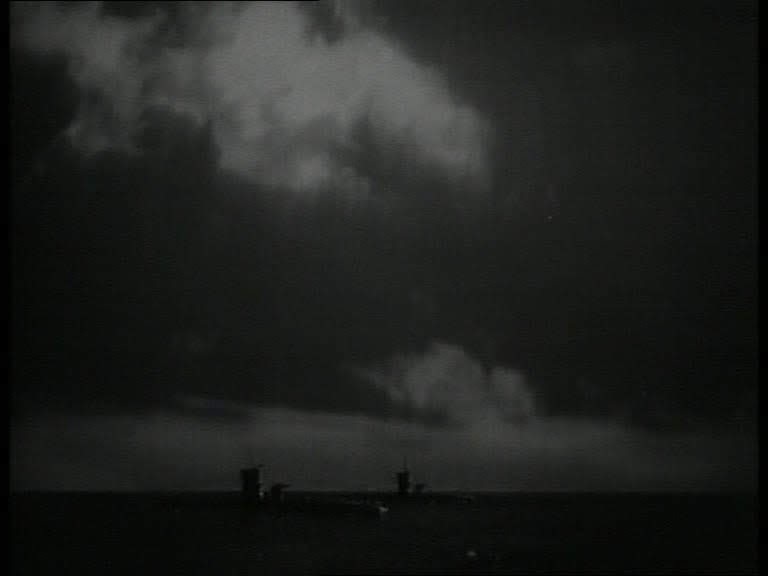 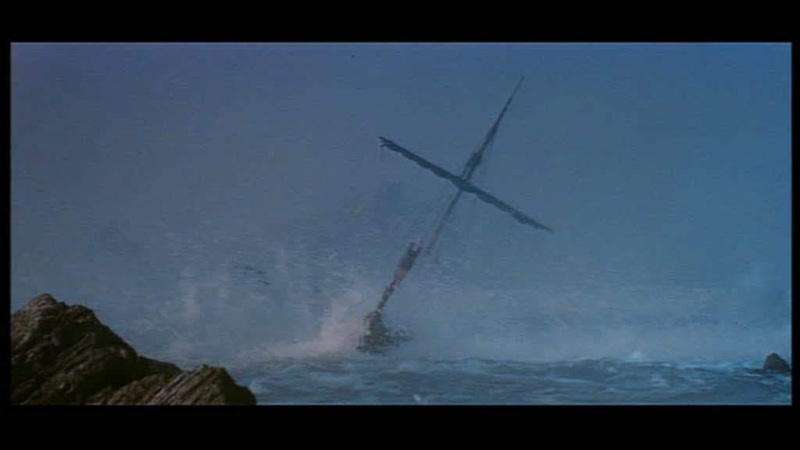 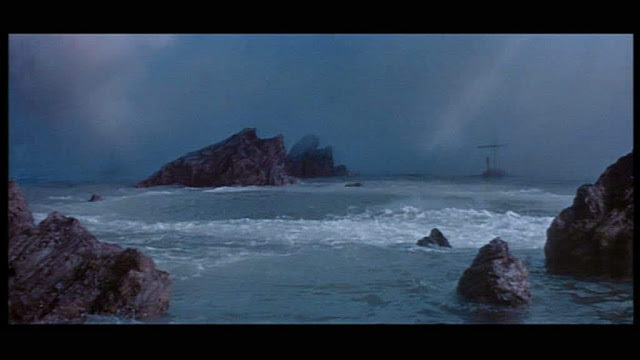 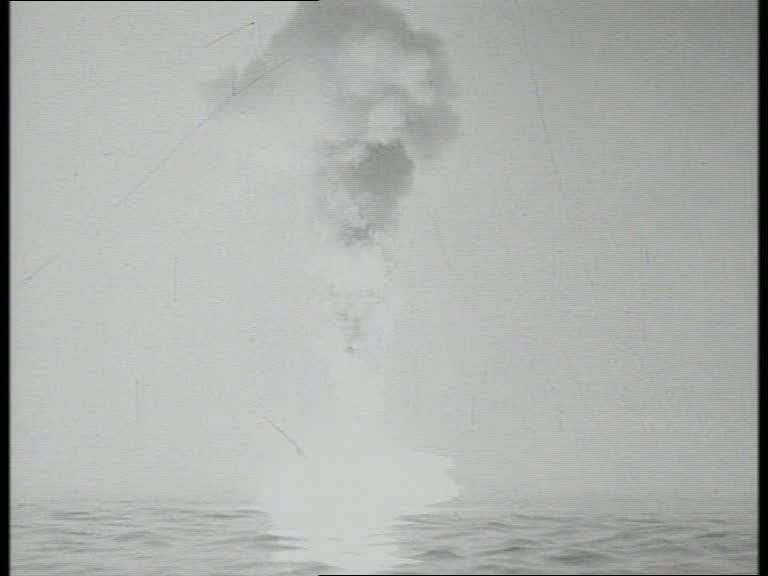 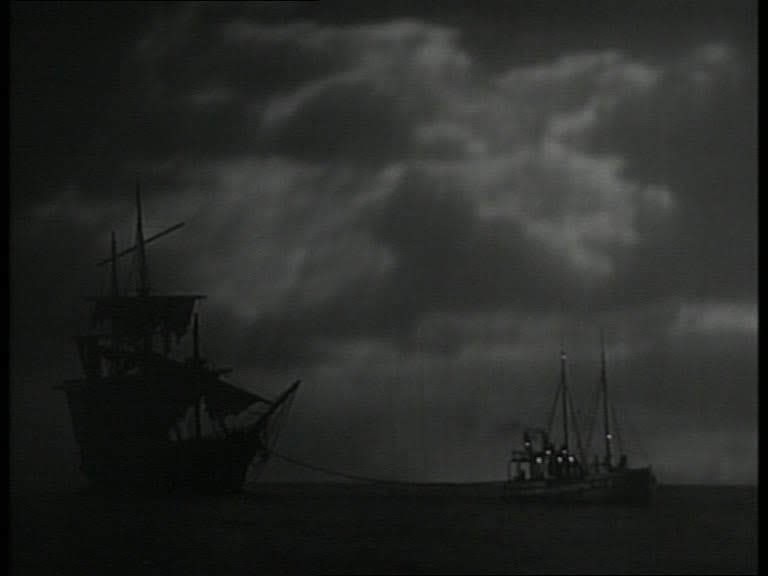 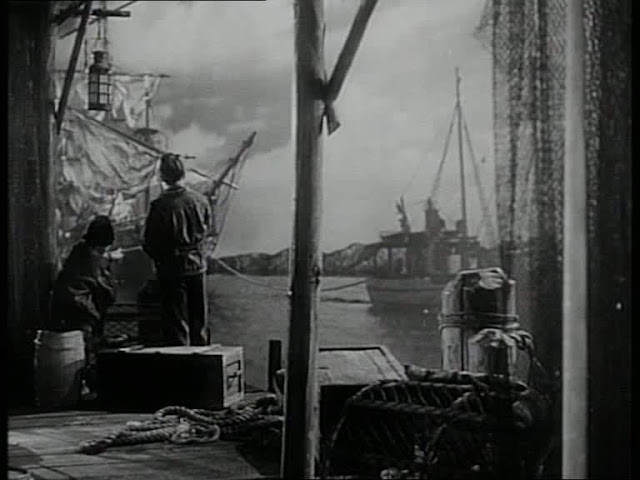 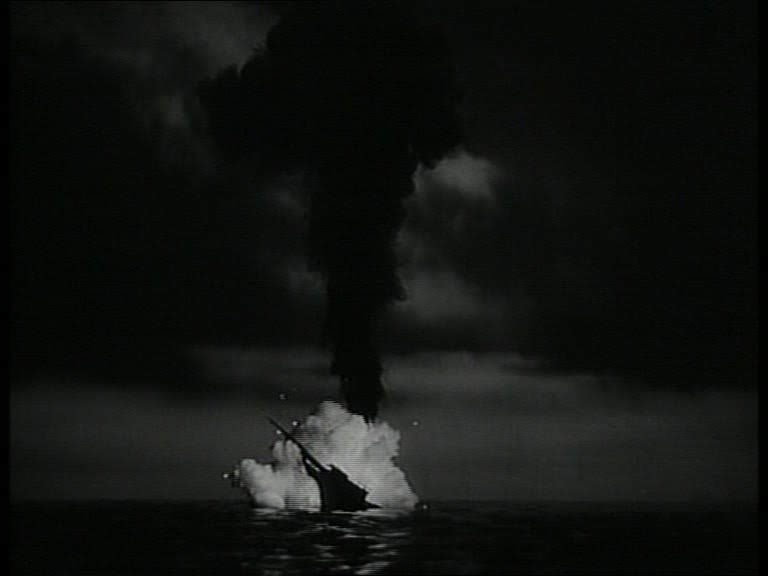 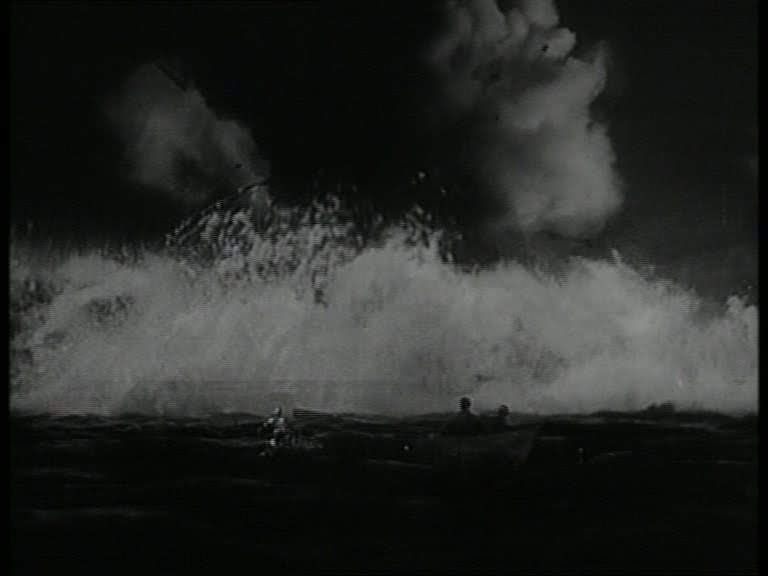 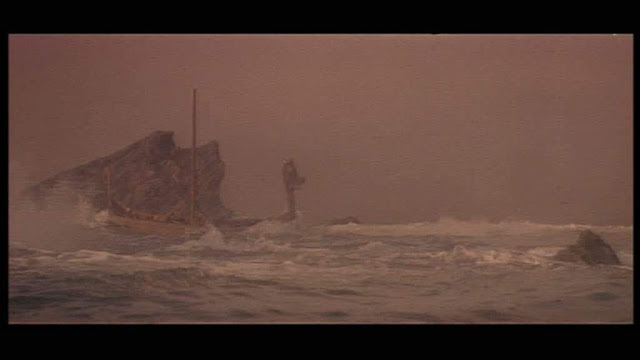 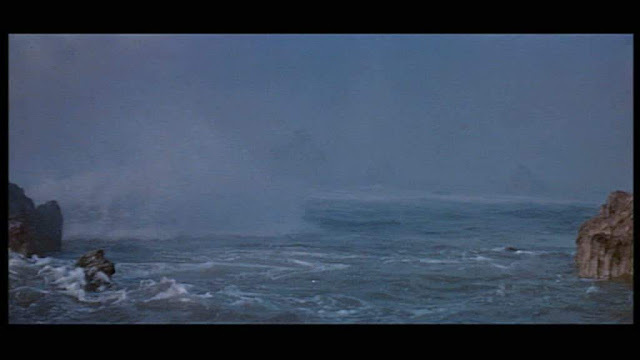 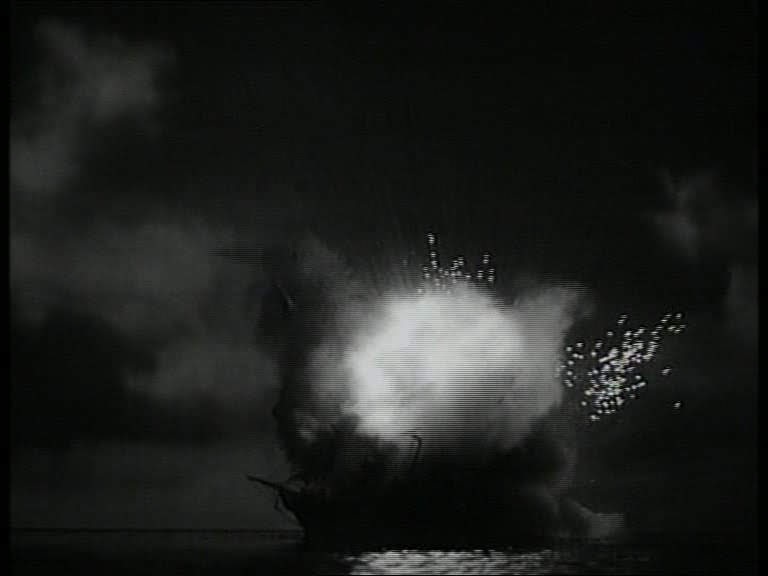 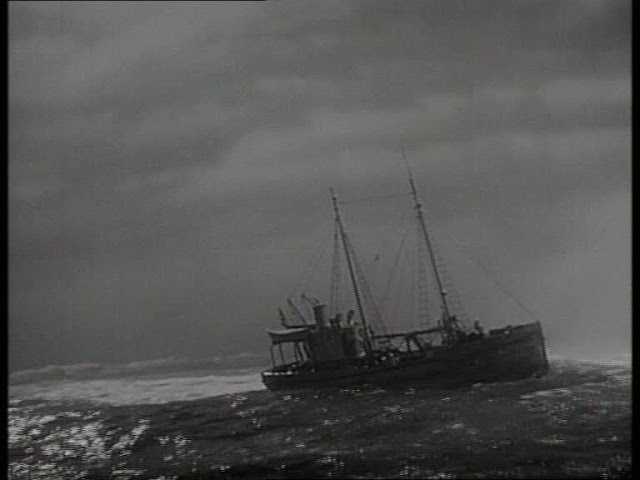 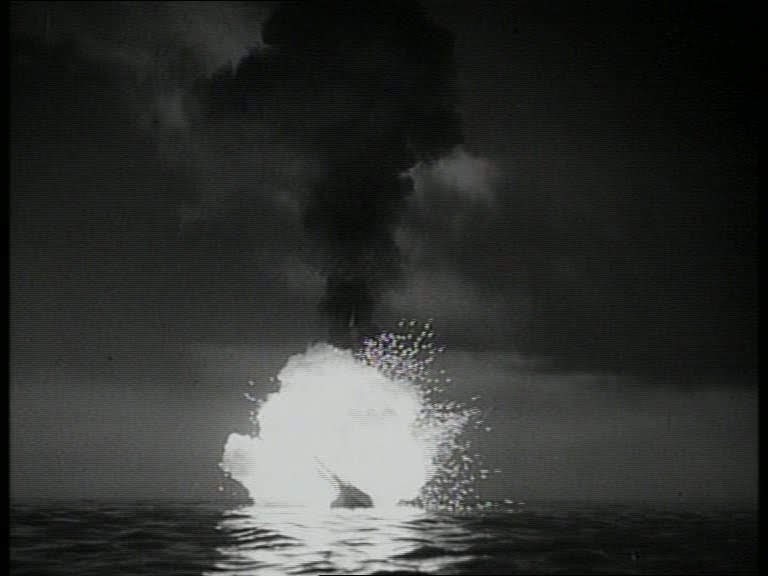 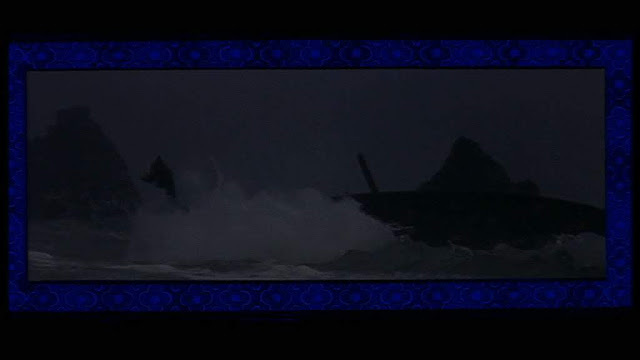 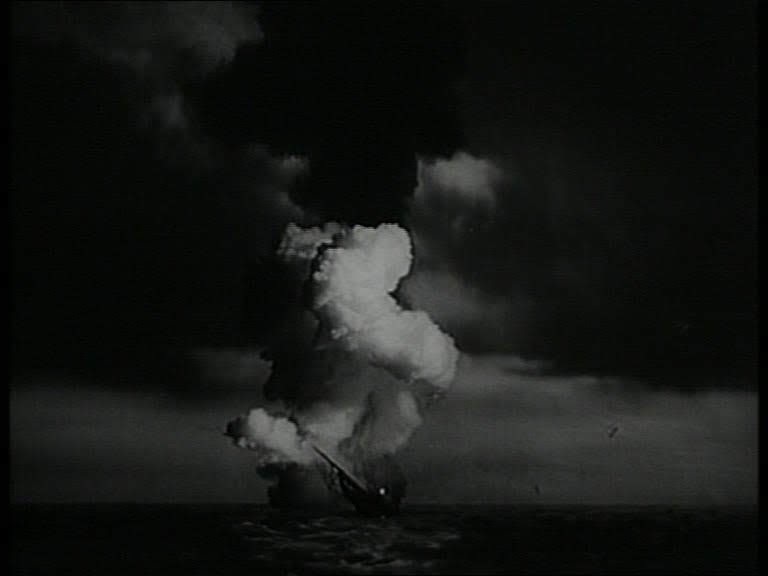 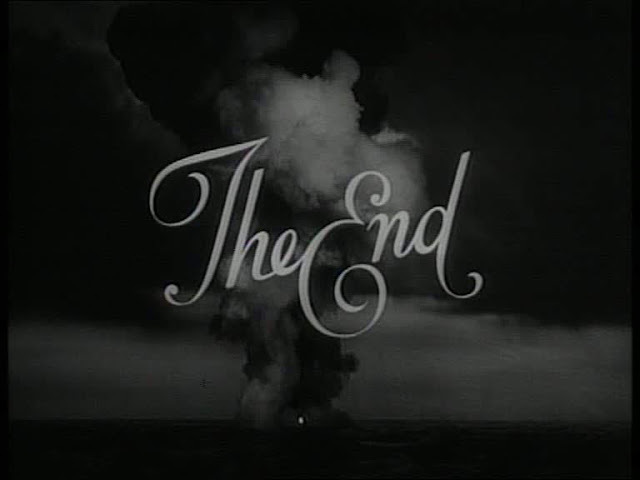 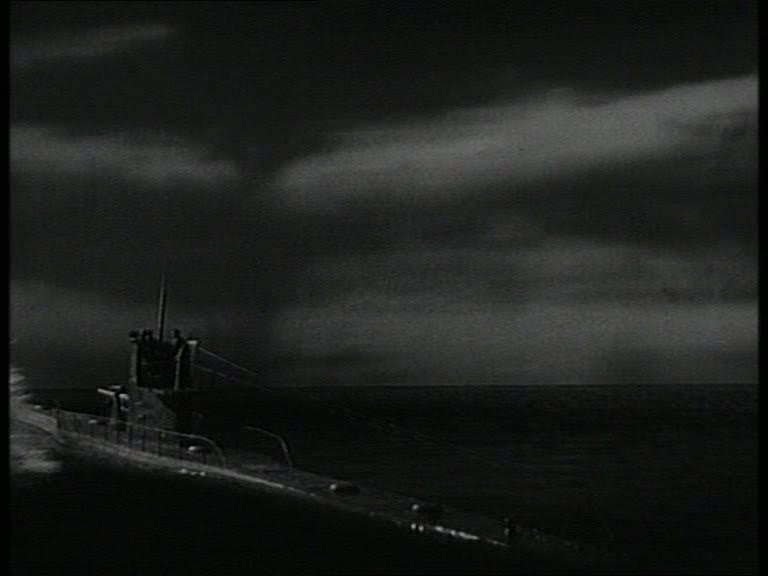 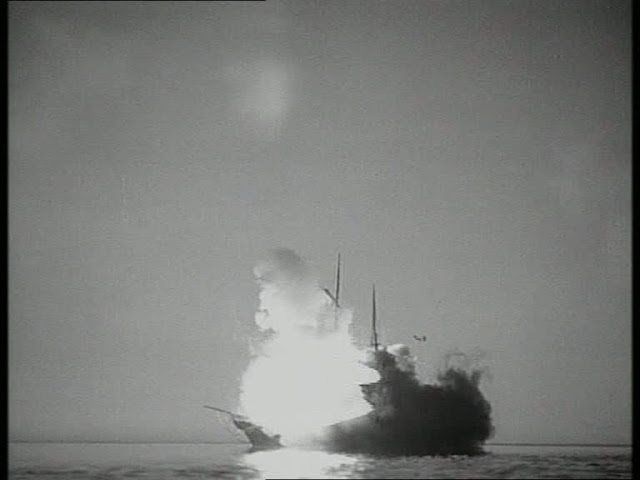 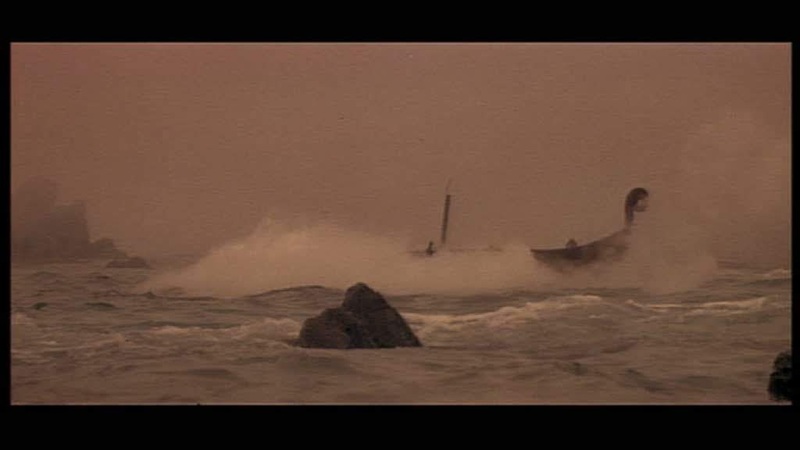 In the end the hero ( who is the skipper of a fishing boat) lures three U-Boats to the ship and destroys them all via the waves caused when the supply ship packed with Nazi torpedoes explodes. 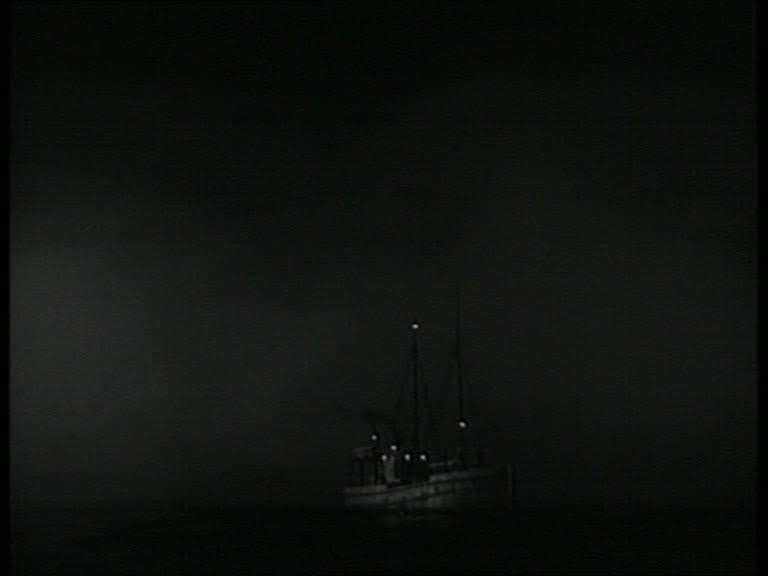 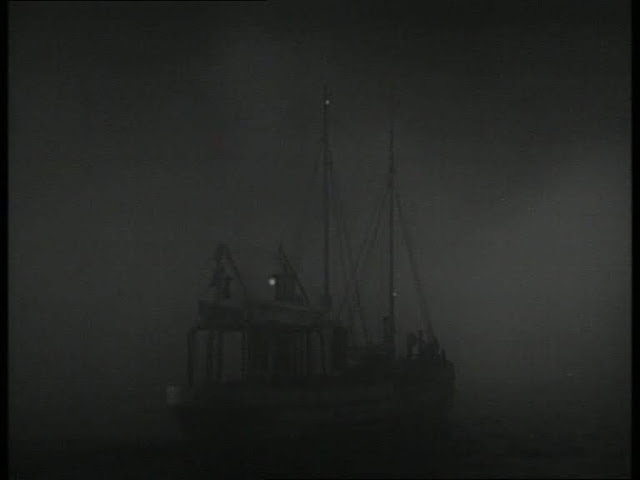 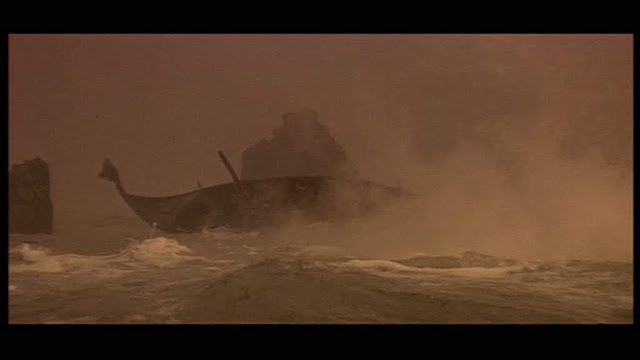 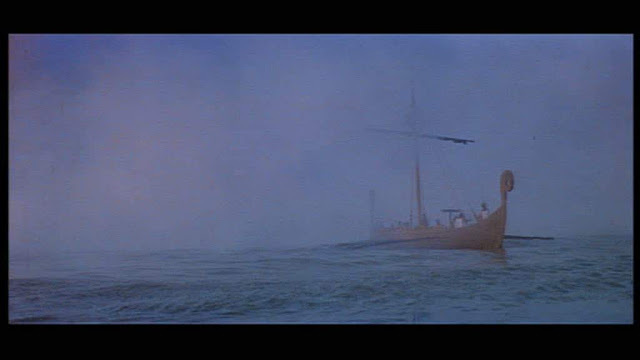 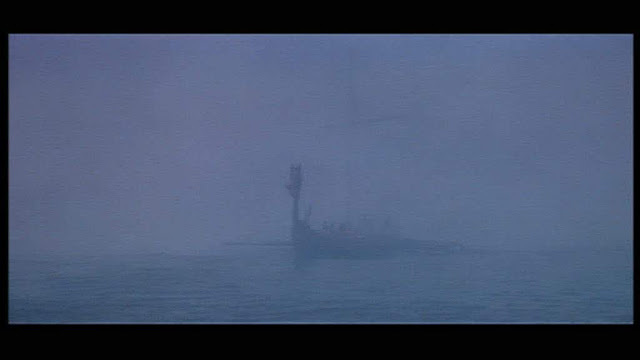 Lots of fog surrounds the model ships and U-boats which are often no more than silhouettes. 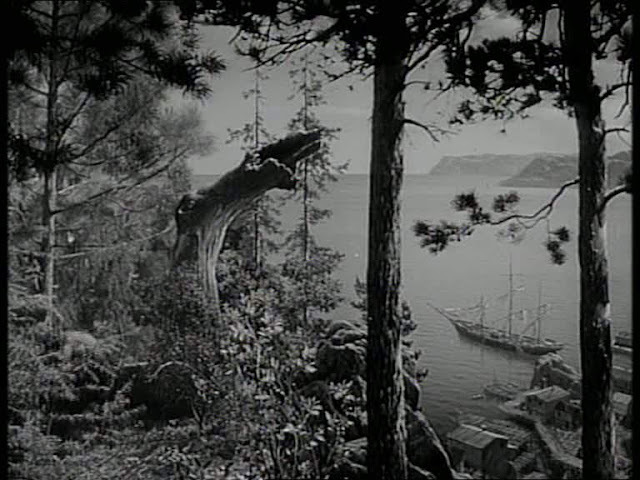 Note also the common use of foreground objects to lend depth to the miniature scenes. 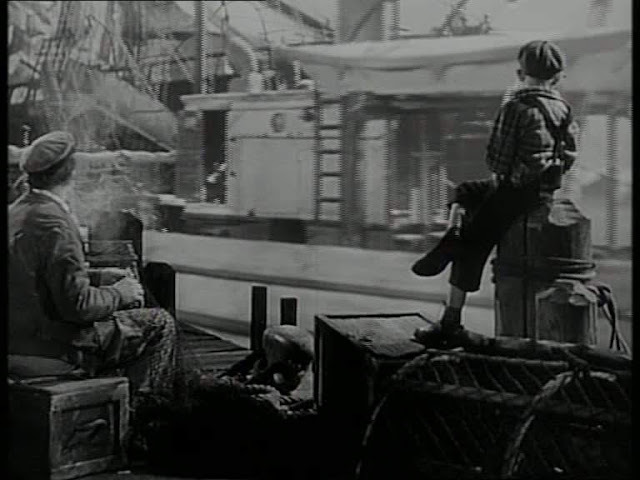 There are a few examples of the miniatures being used in rear projection process shots. These shots get quite close to the models and they are really well detailed. The backgrounds would have to be filmed first before the live action unit could complete the shot. Unfortunately no credit for the miniature work can be found. 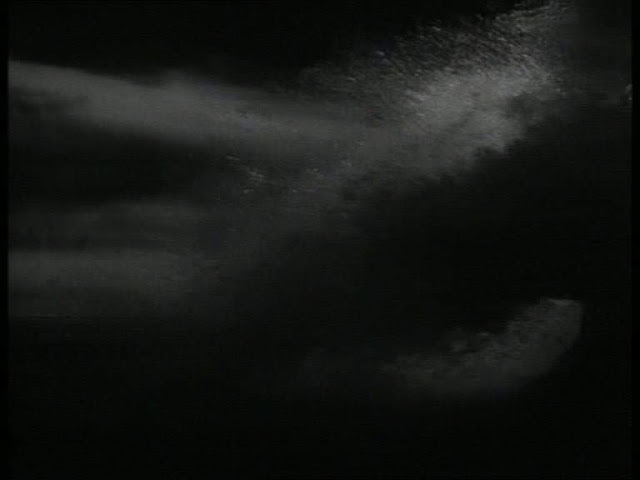 It is all a bit easier to see when in motion than the murky frame grabs would suggest. 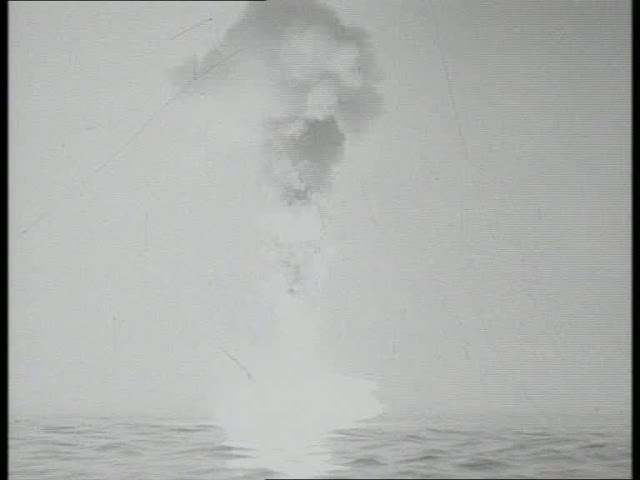 There are a couple frame grabs below showing where the explosions have brightly exposed the models and surroundings only for a frame or two. The hero's fishing boat miniature. More rear projected miniatures backgrounds. 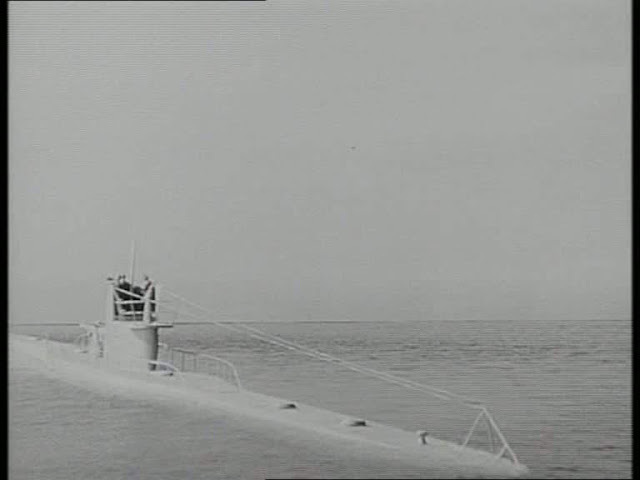 First U-Boat gets hit by wave. 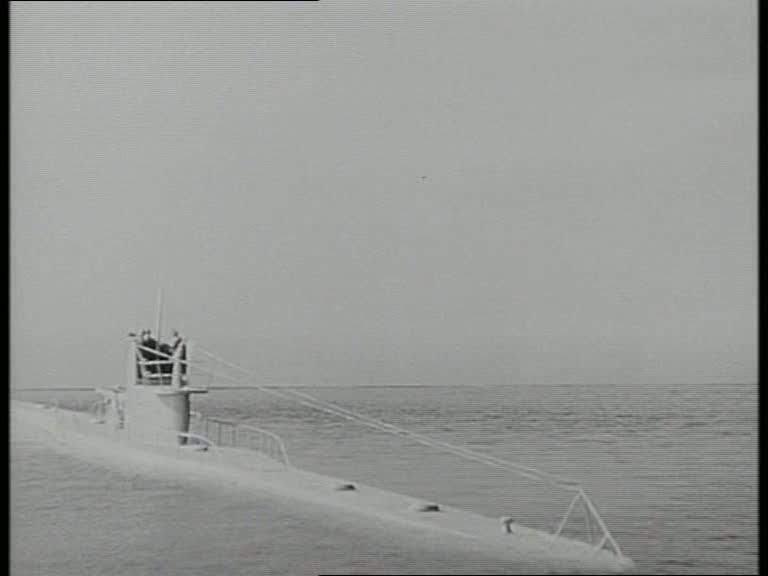 Second U-Boat gets hit by wave.